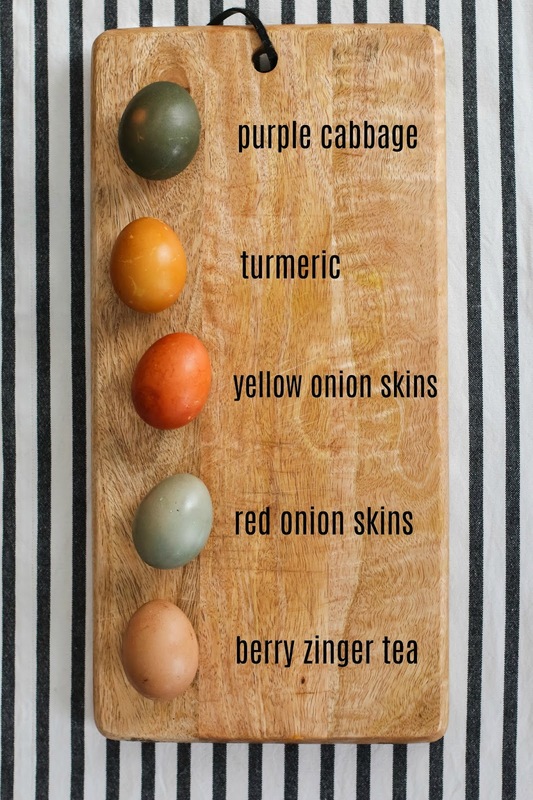 For years, I've seen pins of gorgeous deeply hued eggs on Pinterest and have wanted to try it. I finally got my stuff together and purchased a bunch of ingredients to try naturally dying Easter eggs. 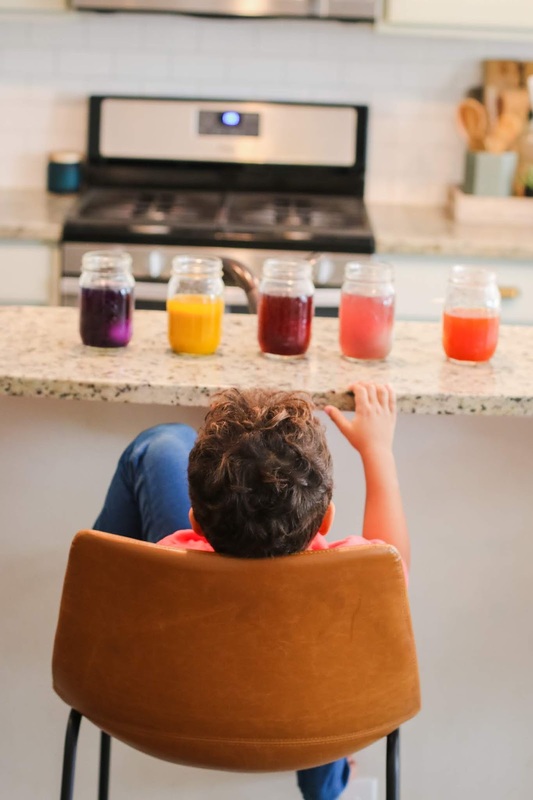 This is the perfect project if you're a curious and festive mama like me, or for older kiddos- especially those who are into science. 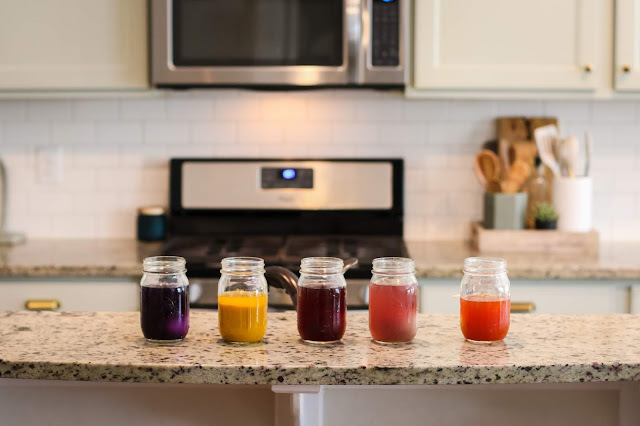 It felt very 'experimental' in terms of deciding the various components- what material (and how much) to use for the natural dye, how long to simmer the dye, how long to leave the eggs in the natural dye, which color eggs to use, etc. There's a plethora of info out there so I took that to mean, I can't really mess this up. 2 c red onions + onion skins (just use skins! 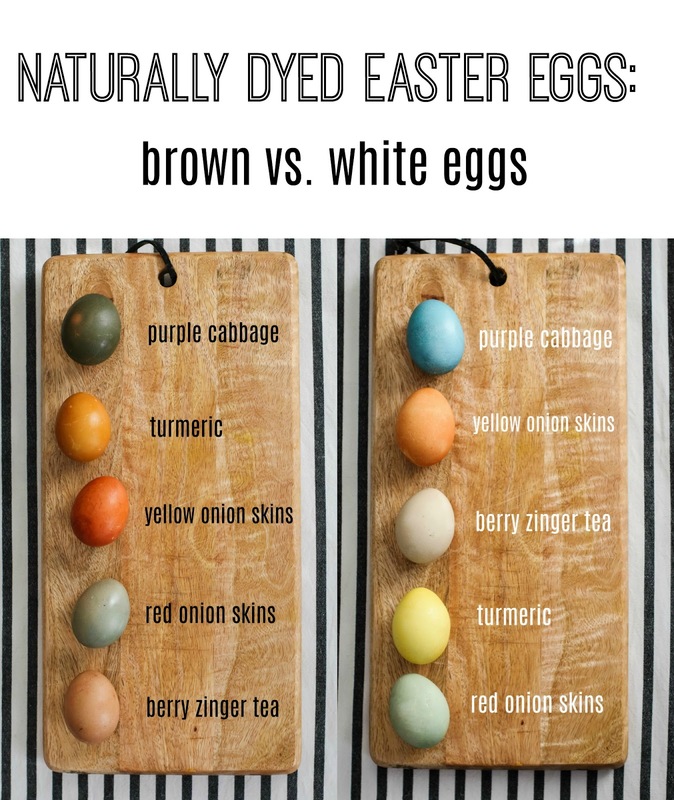 I'd accidentally tossed mine so I tried using both but you will see how much more pigment the eggs dyed with yellow onions skins have). Can I put in a plug for Walmart Online Grocery here? I seriously think it's the reason I was able to make this happen. Spending 2 extra minutes adding a few things to my online cart was worth it. An extra trip to the grocery store was not. ha. 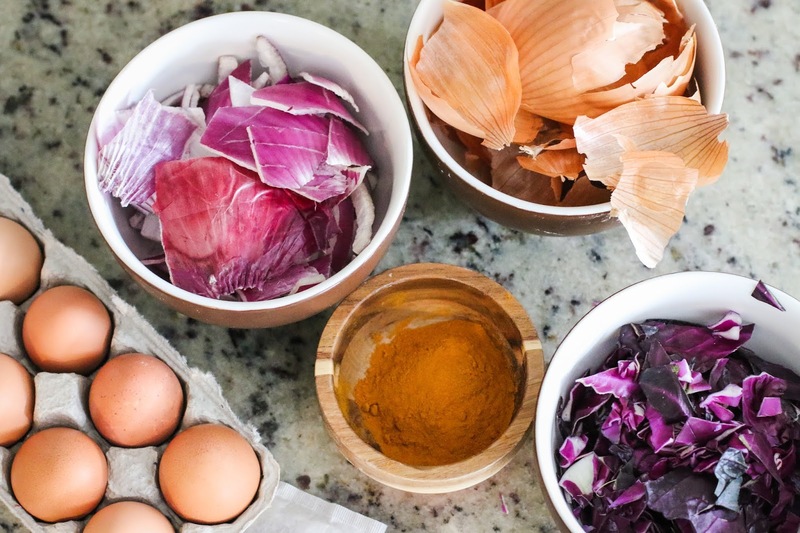 *In hindsight, I recommend using even more of these ingredients- particularly the tea and the red onion skins. Err on the side of more material vs. less. I used 2 cups of water for each ingredient. First, I boiled the eggs. I always bring the water to a rolling boil, add the eggs, and boil for 15 minutes. After, I brought them to room temperature. Second, I made the dye. I brought the water + the ingredient to a boil. Then I simmered it for about 30 minutes. I then used a mini colander to strain the vegetables out and a paper towel to strain the turmeric. Next, I poured the dye into a container. This is where you'd add vinegar (I forgot- you will probably get a much richer color than I did). 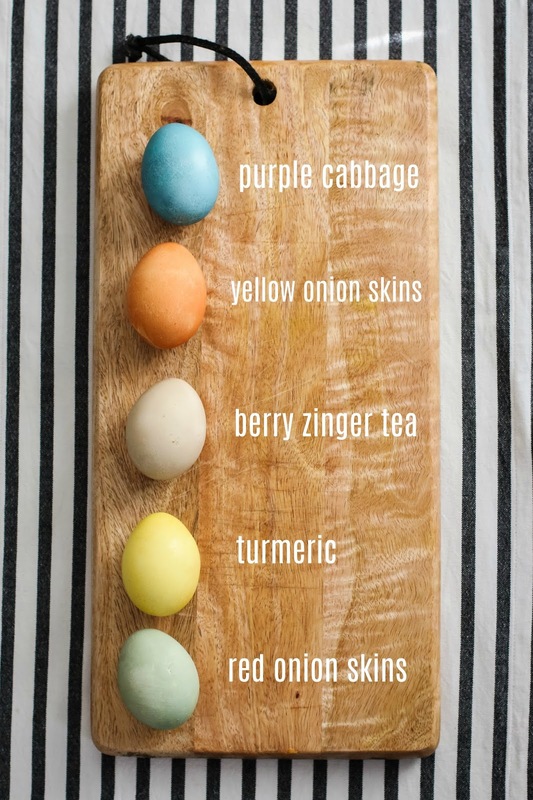 Lastly, put your eggs in the dye. (This is when I remembered the vinegar. Eye roll). 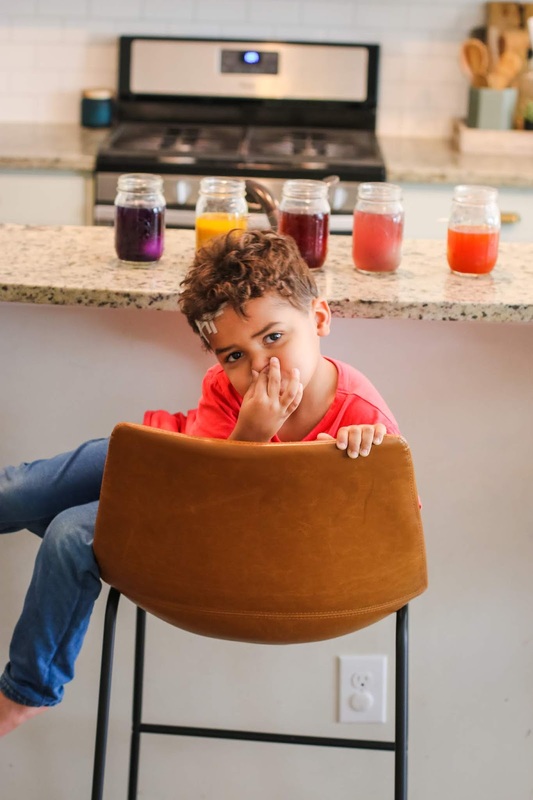 Now there are a couple of schools of thought here- one is that you put them in the fridge and leave them for as long as it takes to reach your desired color. I did that with the brown eggs, overnight. Second is to take them out, let them dry, and put them back into the dye multiple times. Apparently, with this method, they obtain a richer (less pastel) color. 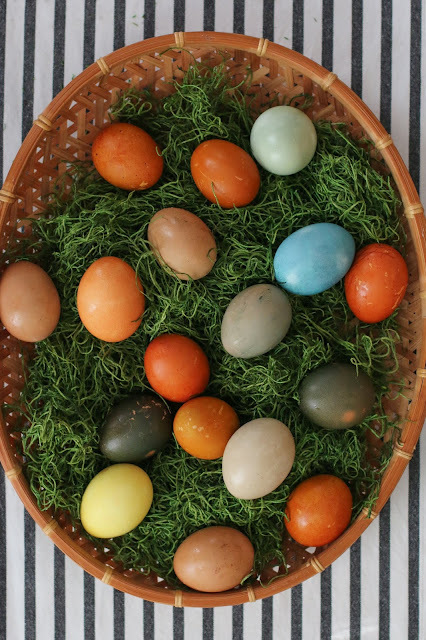 I sort of attempted this with the white eggs. However, I used the same dye vs. a fresh batch which I assume would be less potent. I dried them and placed them back into the dye 3 or 4 times, letting them sit overnight that final time. I lied- lastly, dry your eggs and polish them with a bit of oil. This seemed like overkill to me but nearly every article I read said to do this, so I did it! Note: After soaking the eggs all night, I noticed some of the dye would come off when I touched them. 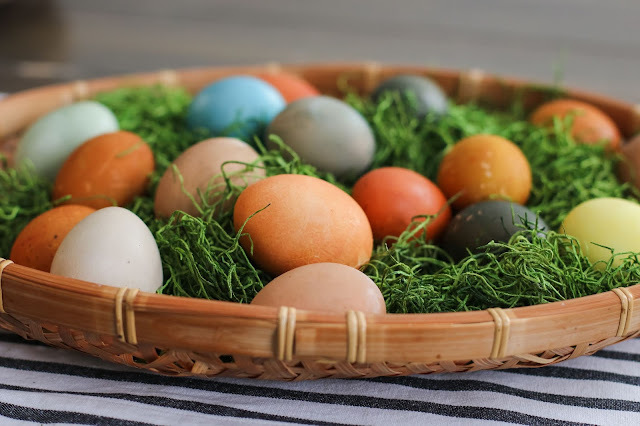 For the majority, I left them alone but for some of the black-ish looking eggs, I wiped off all of the excess color and put them back in the dye. That yielded a more pastel result. 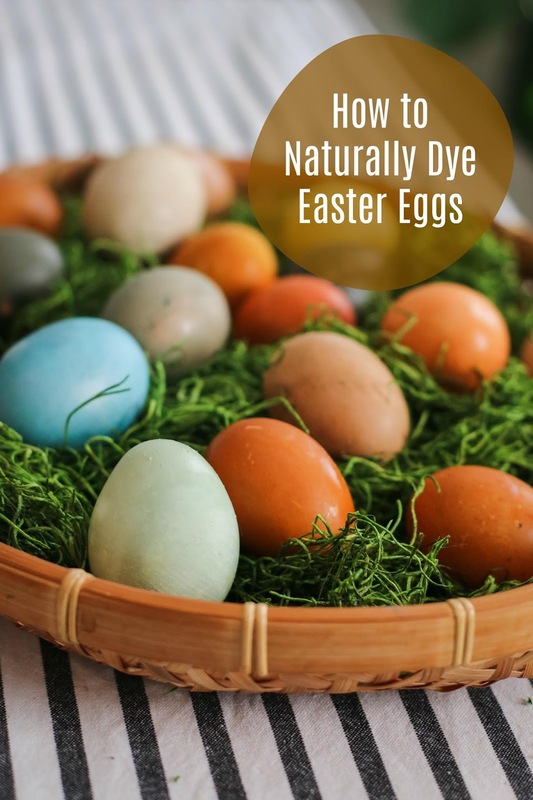 The moral of the story is, if your eggs are darker than you'd like, try wiping off the excess dye and putting them back in the dye (or leaving them be if you like the look)! What ideas do you have for dyeing eggs in an unconventional way?! I love these! What a great way to use natural ingredients to dye Easter eggs. I have a feeling my kids would be plugging their noses too :) The eggs turned out beautiful! I love the colours you achieved. I wanted to have a go at this but I just haven't had the time. very cute! and definitely the way to go if you are going to eat the eggs afterwards. 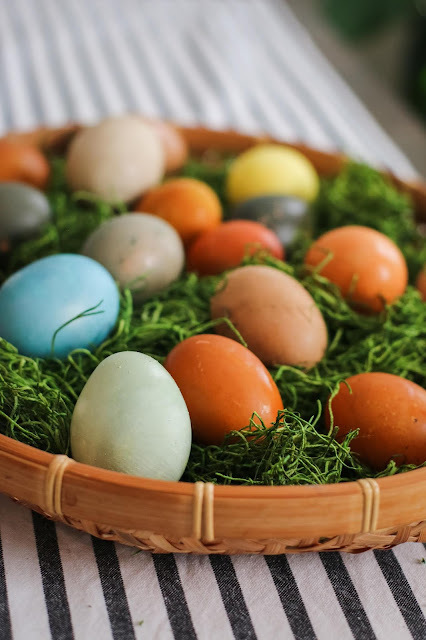 I don't die the eggs anymore because we don't eat a lot of hard boiled eggs as a family and I felt bad about wasting food. but I love the tradition and experimentation of what the colors will end up looking like!